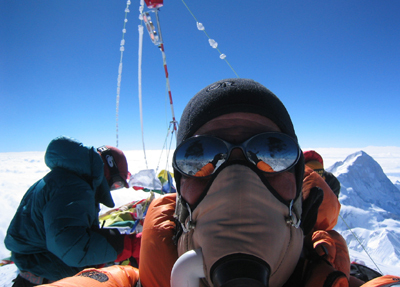 In 2005 Marshall completed his quest for the Seven Summits. In less than three years, he was able to reach the highest point on each continent, including Mount Everest, all on first attempts! 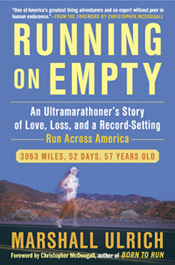 He has applied the knowledge he gained on these mountains, which was built upon 20 years of ultrarunning and 10 years of adventure racing (this guy knows how to take care of himself—and others! ), to guide clients on mountains around the world. He truly enjoys helping other people put their Dreams in Action in the mountains. Discover what you’re made of ... it’s more than you think! Marshall and his wife, Heather, who often travels with Dreams in Action as base camp manager and communications coordinator, are both certified Wilderness First Responders, trained through First Lead. Stay up to date: Want to know the latest? Marsh regularly writes about his expeditions on his blog and announces events on Facebook and Twitter.